Buying gifts for an aging loved one can be a real challenge. Especially when space is tight and when your loved one already has everything they need. Take a look at the holiday gift ideas for grandparents below. Be sure to click on the link at the end of this blog for more items that may be of interest! 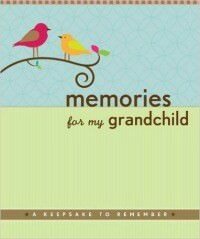 The Memories for My Grandchild: A Keepsake to Remember is one of the best (and bestselling) gift ideas for older parents who have everything. It’s a journal that gently and creatively encourages grandparents to write their life story for their kids and grandkids. This memory journal features guided questions and prompts to help your elderly parents remember important moments from their past. The questions will help your parents remember and share memories about their childhood and teen years, education, love, marriage, work, and, of course, grandparenthood. This journal has an inside back cover pocket in which to store keepsakes and notes. 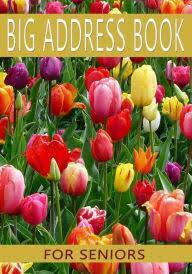 It contains creamy smooth pages that are beautiful and easy to write on. 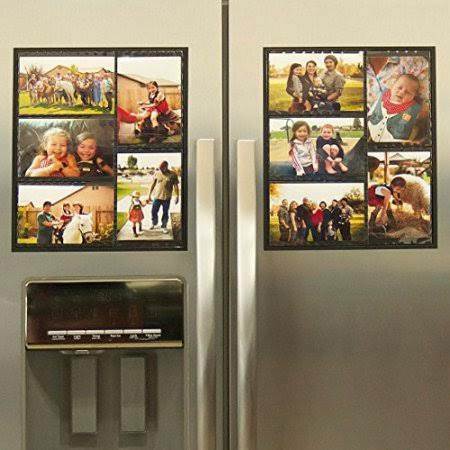 The Magnetic Picture Frame Collage for the Refrigerator will keep family photos organized and easy to see. This one holds ten 4×6 photos, and won’t slide down the fridge if the door is slammed. The picture collage is an affordable gift idea for elderly parents or older grandparents who have everything – especially if they don’t live close to you or the rest of their family. You can organize a variety of family photos in the picture frame, and they’ll enjoy the creative collage you make. 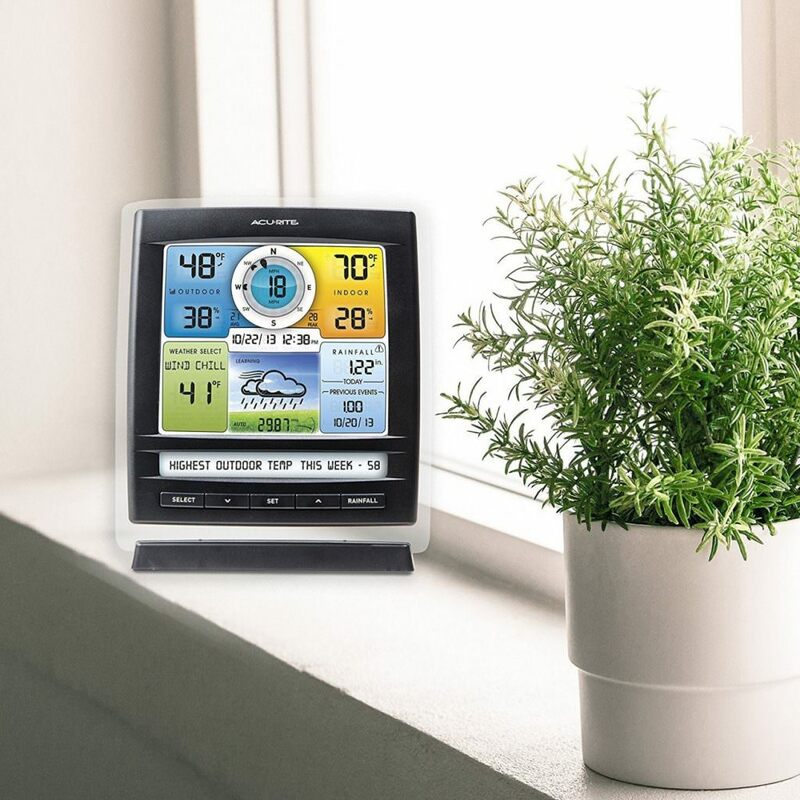 For the senior citizen who still drives, the The AcuRite Color Weather Station Display & 5-in-1 Weather Environment System is one of my top gift picks. It has a clear, simple display of the temperature outside and inside, the wind speed and direction, and the rainfall. It may not seem like the most creative gift idea, but it’s incredibly practical because older people need to know what the weather conditions are like if they are going to venture outdoors. 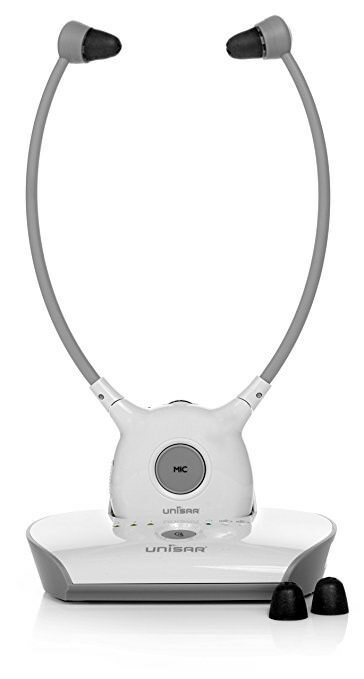 Unisar TV listening devices are perfect for the elderly and hearing impaired. This device is also hearing aid compatible. Enjoy crystal clear sound for music and TV sound anywhere inside your home. Simply connect the transmitter to a desired audio source: DVD player, CD player, TV set, or iPod. Without complicated wiring and installation, you can enjoy thrilling lifelike sound without bothering your neighbors. 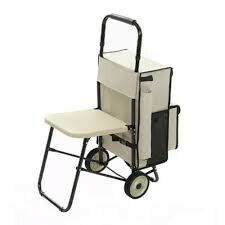 Rest-n-roll Shopping Cart with seat There are many carts on the market, but Rest-n-Roll is probably the one that is best suited for seniors. The first feature that makes the difference is the built-in seat, which is made of plastic, not fabric, and it would be more comfortable for older people. It also has a rather large seating area. Letters to My Grandchild: Write Now. Read Later. Treasure Forever is a creative gift idea for aging parents and grandparents who have everything. 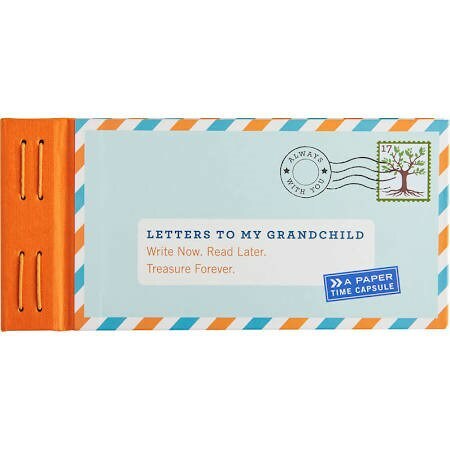 Twelve prompted letters offer an immediate way for grandparents to give the gift of a lifetime to their grandchild of any age. Favorite memories and words of wisdom are sealed with the included stickers and postdated for future opening. This paper time capsule becomes a priceless heirloom for generations to cherish. For more great ideas click on the link below. Good luck and good gift-giving! For more article by Virginia Tortorici, click here.